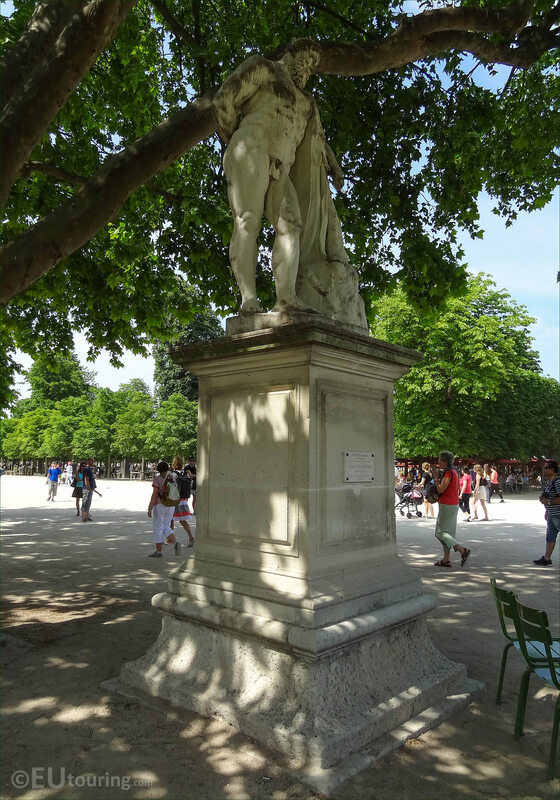 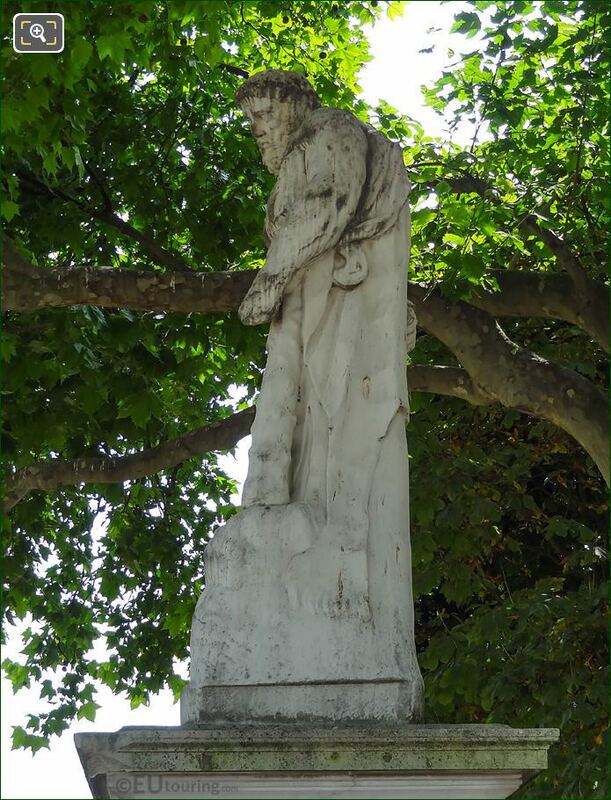 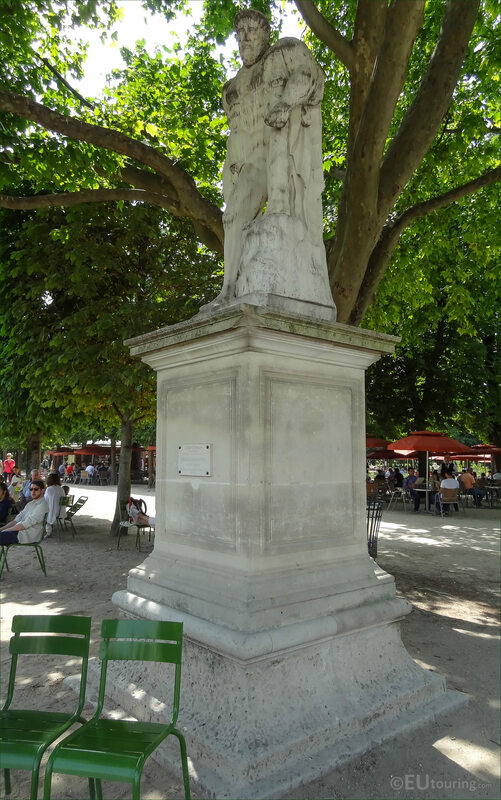 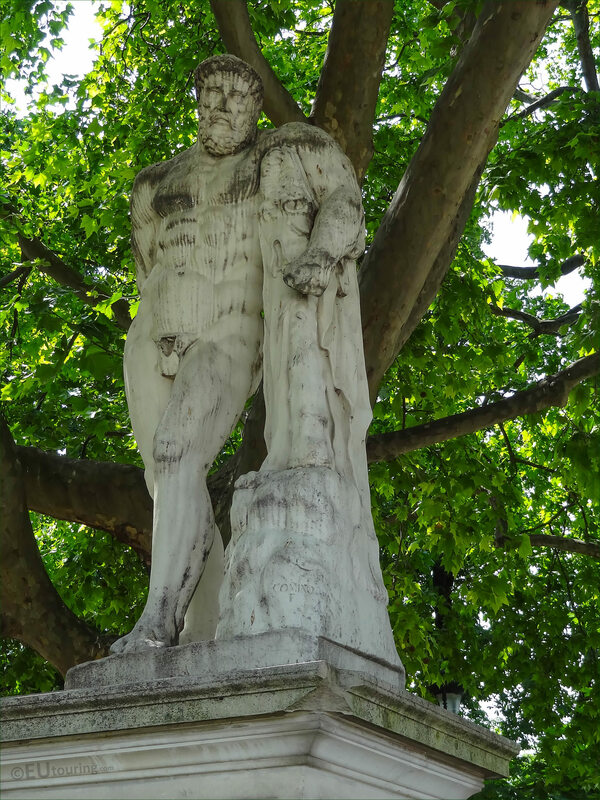 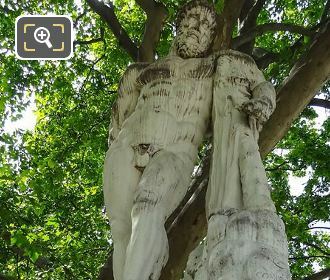 We were in the 1st Arrondissement of Paris in the Jardin des Tuileries, when we took these high definition photos showing a statue of Hercule Farnese by Giovanni Comino. This first HD photo shows the statue of Hercule Farnese on its tall pedestal base, and in English this translates to Hercules Resting, which is located within the Grand Carre area of the Tuileries Gardens close to one of the popular cafes. 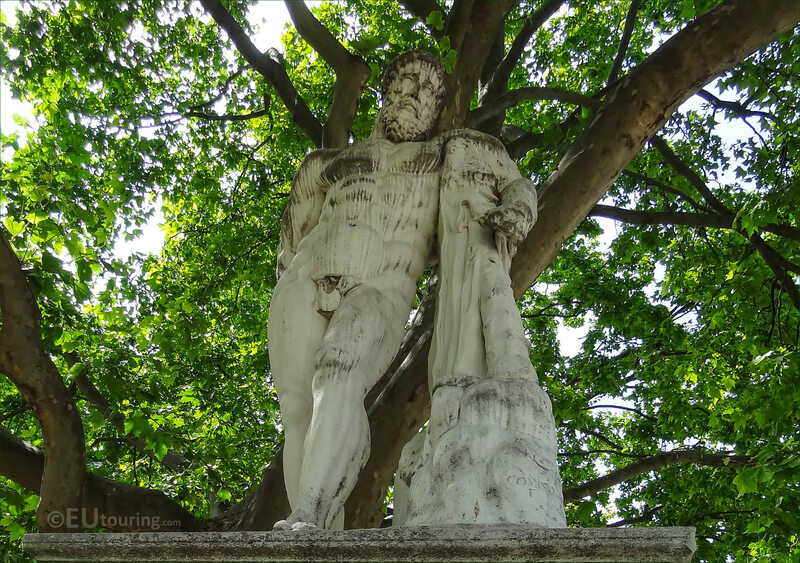 Now originally there was an ancient Greek statue produced by Lysippos that dated from the 4th century BC, and this was reproduced by Glycon in the 3rd century AD, yes was only rediscovered in 1546 in the ruins of the Baths of Caracalla, that is now within a museum in Naples. 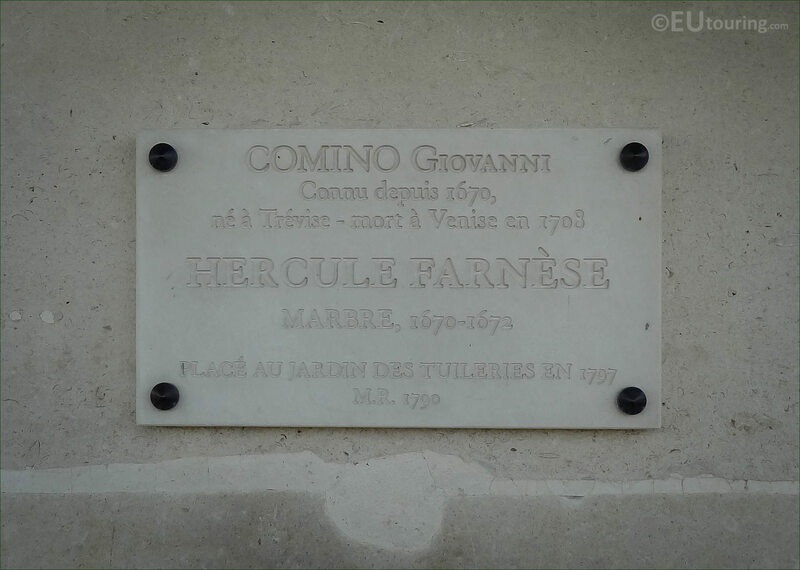 So based upon the statue found in 1546, a sculptor by the name of Giovanni Comino produced a copy of the Hercules Resting in marble between the years 1670 and 1672, which was while he was in Rome, and this ended up being installed within the grounds of the Parc de Sceaux in 1686 that belonged to the chateau, historical castle, located on the outskirts of Paris. 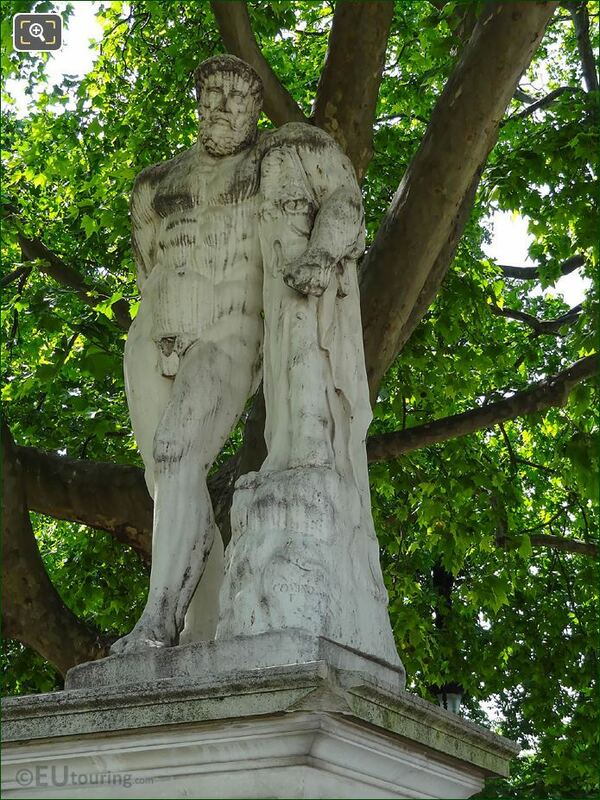 You will find that this statue was based upon a mythical story of Hercules who had to perform twelve tasks known as the Twelve Labours, and this statue was designed to portray the weary Hercules leaning on his club that was draped with a lions skin after he had completed his tasks. And the marble statue of Hercule Farnese was then assigned to the Musee du Louvre under inventory number M.R. 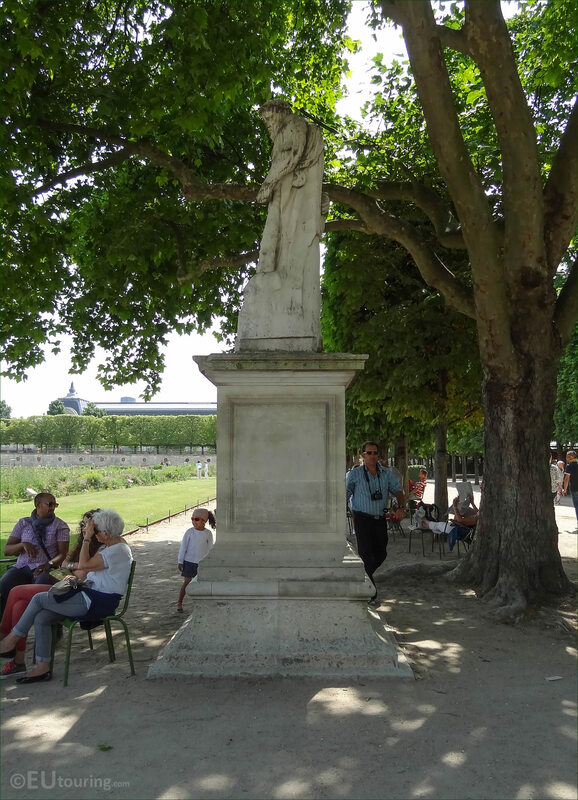 1790 and relocated to the Jardin des Tuileries in 1797, however, it was returned to Sceaux in 2010 and became the property of the Musee du Domaine Departemental de Sceaux who oversee the chateaux, its gardens and impressive collections. 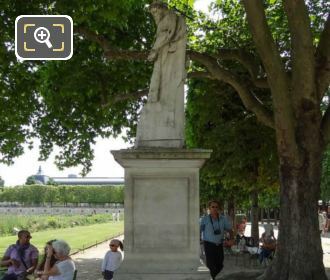 Therefore, the statue you can see in this image within the Tuileries Gardens is actually a moulding or cast, which is referred to as a Moulage in French, and this was so that the original could still be preserved for many years to come, but people could still enjoy seeing these gardens as they have been for centuries. 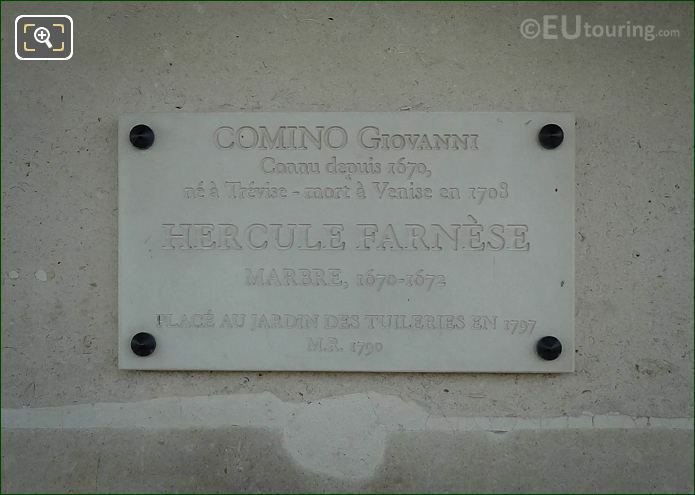 Yet this last close up high definition photo shows the tourist information plaque located on the pedestal base of the Hercule Farnese statue, and as you can see it states that the sculptor Giovanni Comino was born in Treviso in Italy, although there is no exact date, however, he was known in 1670, but he passed away in Venice, Italy in 1708.